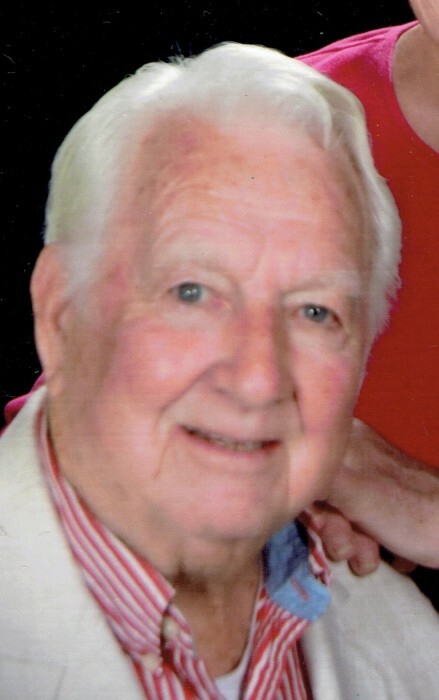 Obituary for John E. "Jack" Dwyer | Edwards Memorial Funeral Home, Inc.
Mr. John E. “Jack” Dwyer of Mendon MA, and most recently a resident at Countryside Healthcare of Milford, passed away peacefully on February 4, 2019 at 91 years of age. He was surrounded by his family. He was born in Blackstone MA, to John and Agnes (Broughey) Dwyer. Jack leaves Patricia (Scanlon) Dwyer, his beloved wife of fifty-eight years, his three children: Cheryl, wife of Richard Morse of Mendon MA; Karen, wife of Craig Tornifoglio of Medway MA and John Dwyer of Washington DC; two grandchildren: Shane Tornifoglio and his wife Jill Fisk and Brooke Tornifoglio; his sister: Margaret “Peggy” Matheson of Newport RI; and many nieces & nephews. He was predeceased by his brother, William “Billy” Dwyer and his sister, Dorothy “Dottie” Mongeon. Jack grew up in Blackstone, where his family ran Dwyer’s Grill for many years. He was an accomplished baseball player and played semi-pro baseball. After graduating from Blackstone High School, he served in the US Navy on a destroyer near the end of WW II. He then attended Providence College on the GI Bill, graduating in 1951. After college, he served a second time in the US Navy, again on a destroyer, in the Korean War. Jack then began a thirty-seven year teaching career as a high school history teacher. He first taught at Wrentham High School, which later became King Philip High School, retiring in 1990. Jack and Pat met on Cape Cod. After their marriage in 1960, they moved into a tiny two-room cabin in Mendon. Jack loved working on their home. He spent a lifetime working on the property and turning it into a beautiful home for his family. Jack taught himself how to play tennis and became a member of the US Professional Tennis Association after passing the qualification test at the Dunes Club in Narragansett RI. He was the varsity tennis coach at King Philip HS for many years. In 2018, he was inducted into the King Philip High School Athletic Hall of Fame. He also spent several summers as the tennis instructor at Camp Caribou in Maine and at the Tupperware Company recreational facility in Blackstone. For many years, Jack worked during the summer at West Hill Dam and Park near his home. An avid outdoorsman and expert fly fisherman, he loved to fish the West River. He also loved salt water fly fishing along the Rhode Island shore. After retiring, he spent many days fly fishing the ponds at Addieville East Farm in Rhode Island. Jack was an active member of the parish at Sacred Heart Church in Hopedale, where he served on the parish council and as an usher for many years. He was also a member of the American Legion Post in Mendon. His funeral will be held Saturday (February 9th) at 9am from the Edwards Memorial Funeral Home, 44 Congress Street, Milford MA followed by a Mass of Christian Burial at 10am in Sacred Heart Church, 187 Hopedale Street, Hopedale MA. Burial, with Military Honors, will follow in Hopedale Village Cemetery. Visiting hours will be held Friday (February 8th) from 4pm to 7pm. In lieu of flowers, donations may be made to The Friends of GAM, Inc., One Countryside Drive, Milford MA 01757 Attention: The Resident Activities Fund or The Rehabilitation Department.